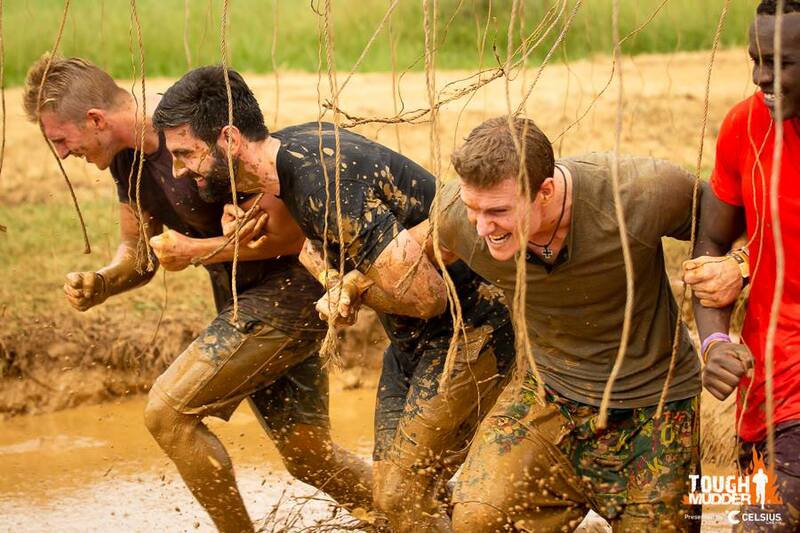 A few weeks ago I declared my frustration with negativity pervading OCR in my piece, “OCR Community Must Lead the Fight Against Trolls.” As a direct result, I took on the Nashville Tough Mudder (TM) Half course as a lone wolf to test a hypothesis. I sought to prove to myself and our readers that though the OCR community has displayed some less than stellar attributes on social media of late, participants on course still demonstrate steadfast support for their fellow racer. 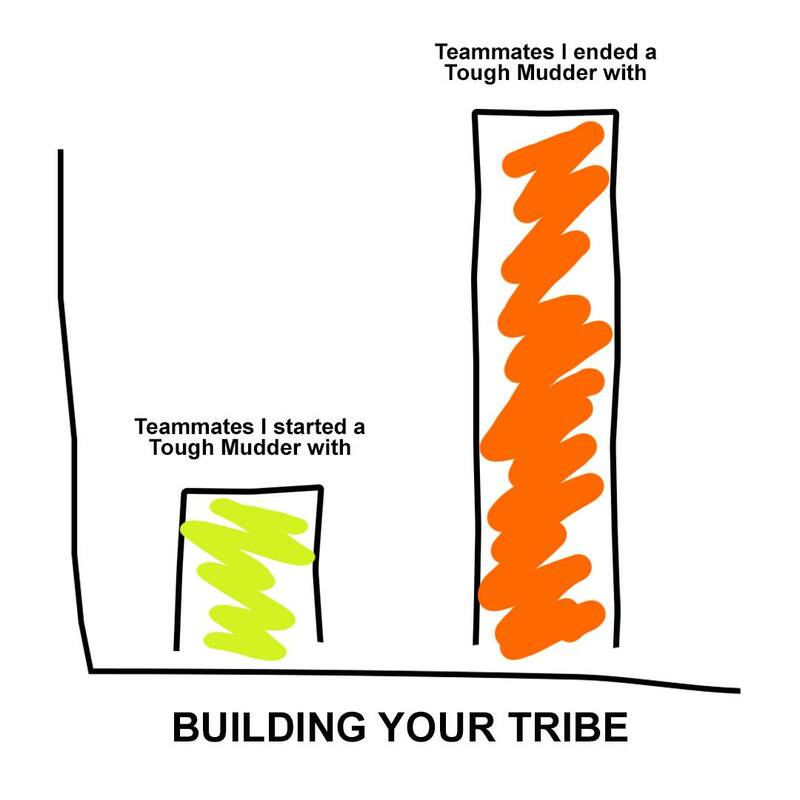 Understanding the design of Tough Mudder’s obstacles largely require teamwork, I felt it was the perfect environment to make observations. Armed with a purpose, I set out South solo. Out in the wild it generally takes me a little while to warm up to new people; at a race, however, it takes considerably less time to engage. TM held us in the purgatory that is the slow creeping registration line outside the festival for nearly an hour. I found myself oppressively surrounded by families and teams. My solo status screamed even louder as groups discussed tactics and fears, but that’s when I heard my opening. The window of opportunity for conversation flies open when I learn of a rookie staring down his first event. The team in front of me, Down ‘N’ Dirty, was a large group of 12 or so comprising of a few veterans and more apprentices. I jumped on this and found myself instantly assimilated into the clan. As one of the spirited members of their team, I dubbed Spunky Spice put it, “The lone wolf dies, but the pack survives.” Needless to say, my hopes were high for this experiment, and we were only just approaching the gate. Upon entering the festival, I bode a [temporary] goodbye to my newfound clan so that I could perform some media duties before hitting the course. I checked in with some of the competitive racers finishing up, and without any prompting, nearly everyone I interviewed expressed gratitude to their fellow athlete for lending a hand at obstacles. I think setting aside a potential PR or prize money is substantial for someone in competitive heats, so I was uplifted to hear these accounts. Many competitors gathered at the spectator area to enjoy a recovery snack and cheer on early waves through their hesitant trials at Electroshock Therapy. Again, community cohesion was already prevalent and still, I had yet to set foot on the course itself. When it came time to join a corral, I found myself surrounded once more by units of friends, co-workers, and families. Cohesion among clans was especially strong in this instance, though I found it easy enough to partner up with an oddball when the one and only Sean Corvelle demanded it as he hyped us up. Given the green light, groups reunited like magnets, and I stepped across the starting line status: single again. 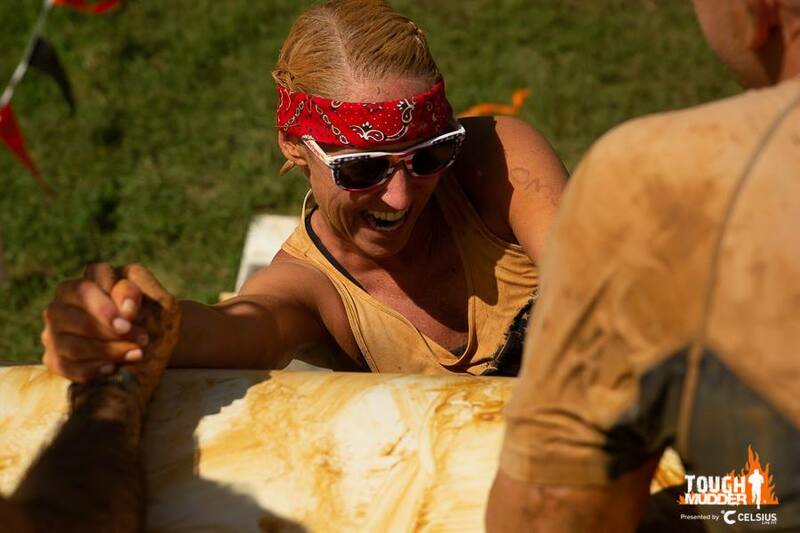 The first obstacle did not demand teamwork, though I did join in a united fit of giggles and extend a hand along with a group when a fellow racer near-face planted upon her first step in a deep hole in Pitfall. My first real trial as a lone wolf came at the 2nd obstacle, Hero Carry. Keep in mind, readers, I barely stand 5’ so many racers politely declined my request to hop on my back for a piggyback ride. After a few groups passed, I found a lady willing to climb on a stranger’s back, and allow the same in kind. A bit of awkward conversation ensued, but we both survived and went our separate ways. As I progressed through the Half course, I grouped with others sporadically to tackle obstacles in the name of efficiency (looking at you Devil’s Beard). I met up again with team Down ‘N’ Dirty at Skidmarked and later again at Berlin Walls; their crew welcomed me with smiles at each stop and were particularly grateful when I offered expertise on navigating these steep climbs. We parted ways after Berlin Walls but felt confident that the second half of the race would show me even more camaraderie. And my suspicion proved true in the last third of the race where Everest 2.0 and Happy Ending were covered with slick mud. Some people helped so much that course volunteers were encouraging some of the guys, especially those that formed the base at Happy Ending, to accept a tag out to finish the race. What I’m getting at here is despite the rise of social media trolling in OCR, the positivity and fellowship is still very much the norm. To solidify this even further, arguably the best female in our sport, Lindsay Webster, stopped atop Everest 2.0 to help not one, not but four competitors with $10,000 on the line at the Tough Mudder World Championships. Of course, she still went on to dominate the field and claim the top podium, but HOLY COW. If that doesn’t solidify what this community is all about, I don’t know what can. Our weekend escape of mud and rainbows is still very much alive and thriving with camaraderie. The lone wolf is never truly alone. So, friends, keep up the good work. Let’s keep slaying trolls one race at a time.